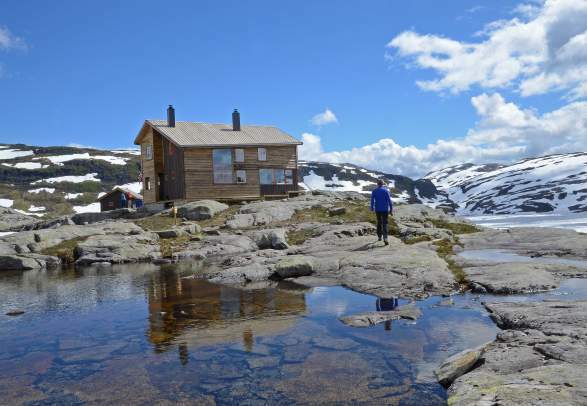 There are thousands of cabins, cottages, and lodges for rent in Norway. Do as the locals and enjoy the quietness of nature on a cabin holiday. Cabin holidays is a part of the Norwegian national soul. 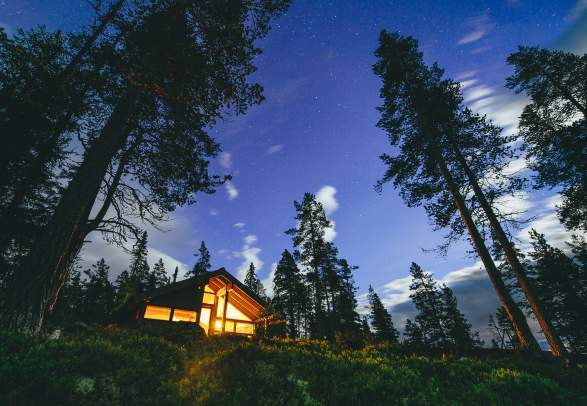 As soon as the weekend or school holiday hits, people flock to the forests and mountains to spend their free time in a small house near a lake or with a panoramic view. Do as the locals and rent a cottage, cabin, or lodge on your holiday in Norway. (cabin cosiness), a feeling very unlike the one you get in an apartment or a hotel. At the cabin, you take the day as it comes. (cabin coziness), a feeling very unlike the one you get in an apartment or a hotel. At the cabin, you take the day as it comes. Cottages, cabins, lodges, and fisherman’s shacks can be rented through local and regional tourist offices or professional agencies. 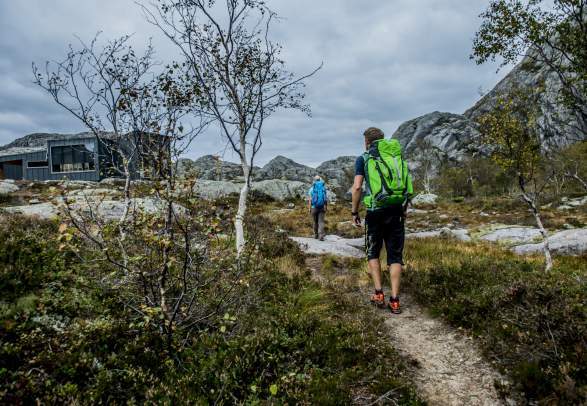 If you are interested in hiking in Norway, you can spend the nights in some of The Norwegian Trekking Association’ more than 500 staffed lodges, self-service cabins, and no-service cabins throughout the country. In addition, Norway’s largest landowner Statskog has around 130 open (meaning totally free of charge) shacks and huts nationwide. Staffed lodges serve breakfast and dinner. Many have showers and electricity. Only open in certain seasons. The self-service cabins are equipped with all you need for cooking and sleeping, but a sleeping bag liner or hut sleeper is required. Stocked with provisions including tinned goods, coffee, tea, crispbread, and instant soup. The selection can vary from cabin to cabin. No-service cabins usually have all you need for cooking and sleeping, but no provisions. In a few simpler no-service cabins you’ll need a sleeping bag and some other equipment. Many campsites have camping cabins available for rent, from small and simple to larger, well-equipped ones with common room, separate bedrooms, kitchen, shower, and toilet. Beddings are usually available for hire at the site, or you can bring your own. Read more about camping in Norway. Hiring camping cabins is becoming increasingly popular, so we advise you to book as early as possible. Please note that the cabin standard is assessed independently of the standard of campsites. That means that a two-star campsite may well have five-star cabins. * The cabin consists of one room and necessary furnishings. ** In addition to the above: electricity (lighting, heating, refrigerator, hot plate, etc.). The cabin may have several rooms. *** In addition to the above: water supply close to the cabin, separate bedroom. Indoor tap water can replace separate bedroom. **** In addition to the above: hot and cold water, WC/shower, cutlery/utensils etc. One living room and minimum one bedroom. ***** In addition to the above: hotel standard with self-catering facilities. Reserve your rental car well in advance. Check rates and make reservations at Auto Europe. Hiring camping cabins are becoming increasingly popular, so we advise you to book as early as possible. Finnemarka north of Drammen has great forest terrain and many cabins. One of the most easily accessible forest areas in Norway is located just outside Oslo, not least because the train passes right by it. It is increasingly common to encounter lodges and cabins that have new and exciting designs and are situated far off the beaten track.